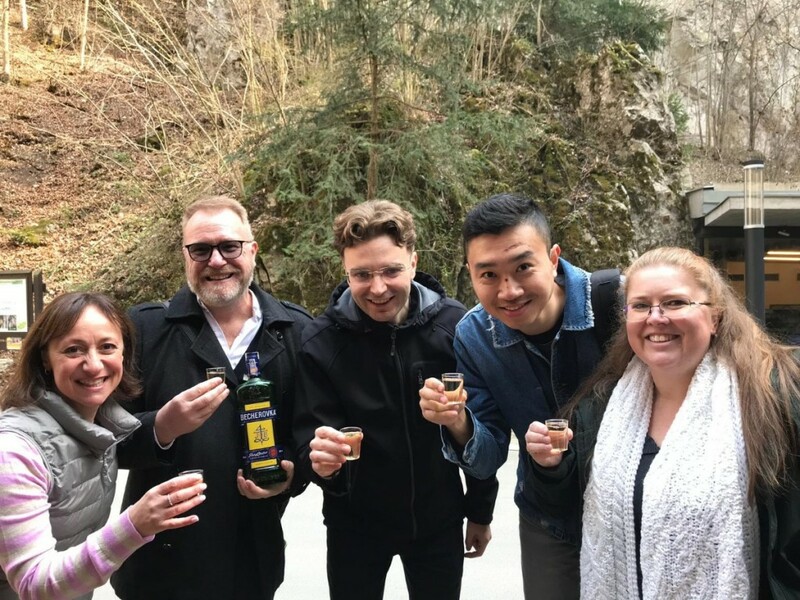 AS part of a global marketing initiative incorporating 20 countries worldwide, the Czech Tourism Board are currently hosting a select group of Australian travel consultants to experience the regional areas The Czech Republic has to offer outside of the country’s hot spot, Prague. The wine region of Southern Movarian is becoming increasing popular with domestic and international guests and currently produces 97 per cent of all Czech wines. The wine region covers 16,514 hectares and includes 306 winemakers- all creating a wide variety of red, white, rose, orange and dessert wines. The group are pictured at the Punkva Caves in Moravian Kras which is located north from the country’s second largest city of Brno. This limestone cave system was discovered in 1909, with the ‘Dry Sector’ open for visitors to walk through. In 1920 the ‘wet sector; was opened where guests board electronic boats and cruise through the water system of the caves. 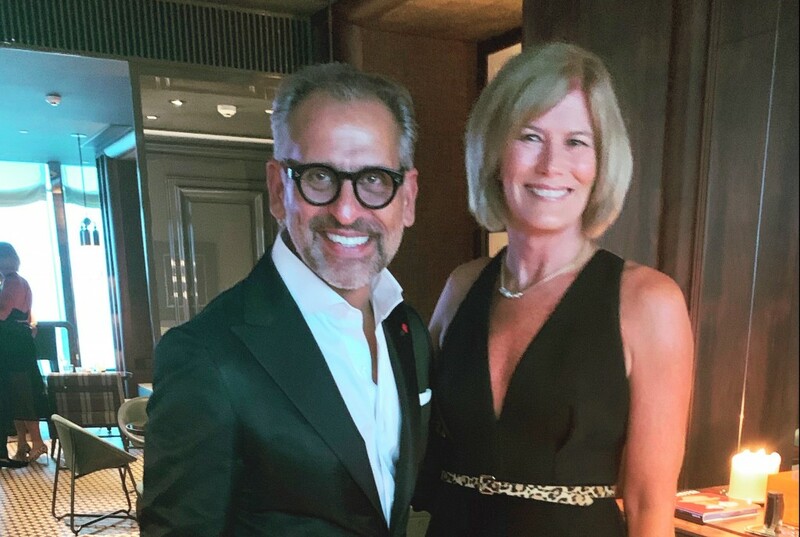 Pictured, MTA – Mobile Travel Agents’ Ally Kilpin with Rosewood Hotels & Resorts president, Radha Arora at the official opening of the Rosewood Hong Kong in Kowloon. MTA’s longest serving Advisor, Ally’s attendance at the event was the culmination of six months of hard work as a member of the VIP team assembled by Virtuoso to form the hotel’s pre-opening advisory board. MTA CEO, Don Beattie said Ally’s invitation to join the board represented major recognition both for her personally and also for MTA’s capacity to deliver quality travel experiences through its travel experts with luxury travel providers such as Virtuoso. 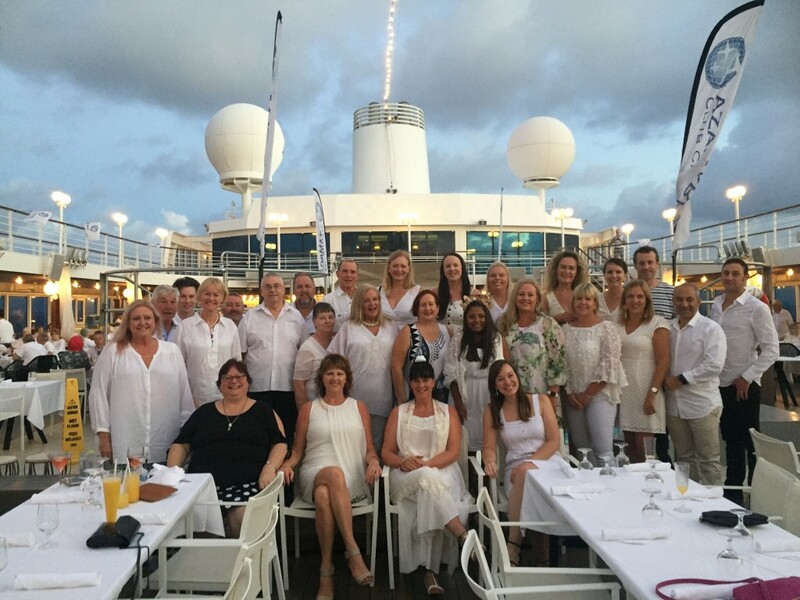 HLO Agents recently cruised onboard Azamara Quest from Sydney to Cairns with stops at Airlie Beach and Townsville. The cruise started with dinner at Prime C, Azamara’s specialty dining steakhouse with an impressive gourmet offering for the group.The first sea day, the agents in attendance completed an Azamara training session, which concluded with a visit from the officers of Azamara Quest, including Captain Magnus Davidson! In the evening everyone enjoyed the buffet feast, with lobster on the pool deck and danced up a storm at the White Night party. (see image above)The second sea day included a sneak-peek behind the scenes of the Galley Tour followed by an exciting Bridge Tour. Port time was enjoyed by all in Airlie Beach, Townsville and an overnight in Cairns. They finished the week on a high with an incredible seven-course meal and wine pairing at Chef’s Table. 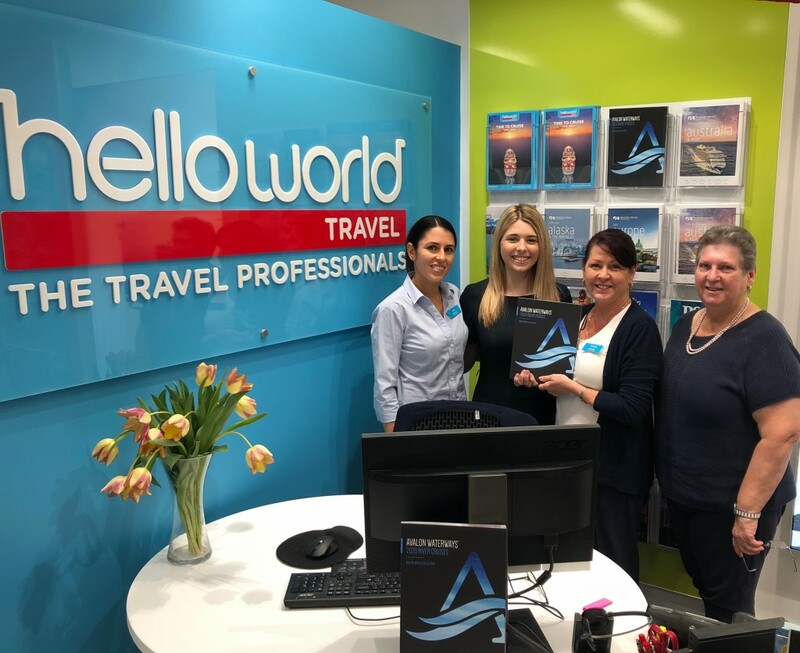 To celebrate the launch of Avalon Waterways’ new 2020 Tulip Time itineraries, Avalon Waterways Sales Team Leader, Alexa Papoulias, was up bright and early this morning delivering bunches of tulips to Helloworld Winston Hills and Flight Centre in Epping. Avalon’s three new Tulip Time tours have been crafted to showcase Holland’s picturesque spring season, when the tulips are in full bloom and the crowds are small. New itineraries include eight-day Tulip Time in Holland & Belgium, eight-day Tulip Time Highlights, and 15-day Grand Tulip Cruise of Holland & Belgium. These new additions will add to existing eight-day tulip-focused itineraries, Tulip Time Cruise and Tulips of Northern Holland. Award-winning tailor-made specialists, Adventure World Travel, is continuing its 40th-anniversary celebrations with the launch of a new website. The website’s enhancements ensure it is now more user-friendly with simplified navigation, and with updated versions for mobile and tablet users, with quicker load times, making for overall smoother user experience. The brand-new homepage video highlights the brand’s unique value proposition of providing bespoke, tailor-made experiences for over 40 years, giving travellers a taste of their future travels with UGC and curated content from past travellers including video content on South Africa by freelance Creative Director Sam Evans. Adventure World’s key pillars are highlighted, showcasing the brand’s tailor-made touch, the breadth of experience of their destination experts, their commitment to responsible travel and legacy of over 40 years of experience creating exceptional journeys across the globe. 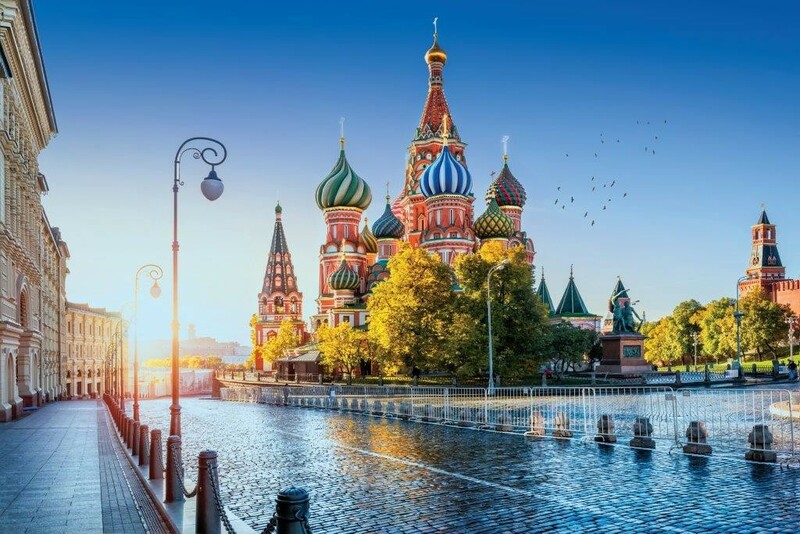 Creative Cruising has launched an exclusive Travel Agent $50* gift card bonus for Europe bookings made before 31 May with Celebrity Cruises, Azamara Club Cruises, MSC Cruises and Norwegian Cruise Line. Along with the gift card offer Creative Cruising has secured exclusive rates and inclusions for your clients next European holiday. Creative Cruising has tailor-made some spectacular packages with incredible savings and inclusions for their Travel Agency partners. April and May are the months where travel agents can book their clients next European cruise with Creative Cruising and receive a bonus for themselves. This uncapped gift card incentive will reward agents with a $50* gift card on any European cruise departure booked with Celebrity Cruises, Azamara Club Cruises, MSC Cruises or Norwegian Cruise Line. Creative Cruising’s flexible packages include reduced fares, early booking discounts as well as exclusive on-board credit. These specially curated packages also incorporate current in market offer including ‘Free at Sea’ with Norwegian Cruise Line and a supersaver fare with MSC Cruises. Macao’s standing as an authentic City of Gastronomy couldn’t have been better illustrated when a group of Sydney travel consultants dined on a Chinese feast while learning about the Asian centre’s long-lasting love affair with food. On hand in Parramatta to greet the agents was a cut-out version of Macao’s loveable mascot Mak Mak, a black-faced spoonbill native to Macao, her headwear inspired by the historic Guia Lighthouse, once the highest point of the former Portuguese enclave. 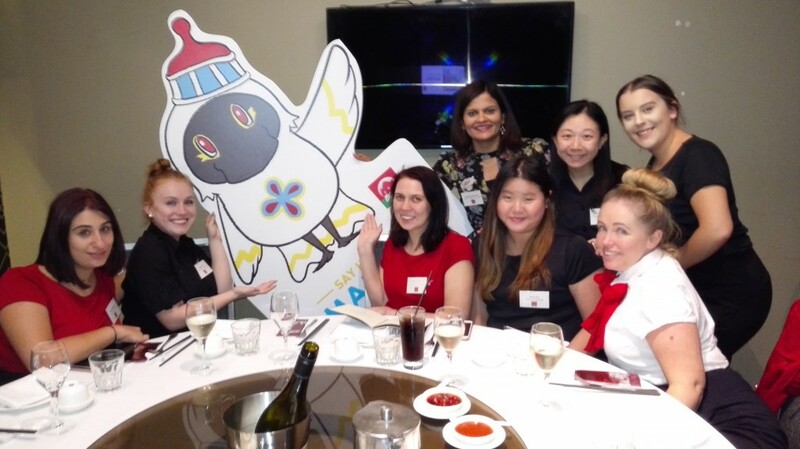 Sixteen Flight Centre travel experts from stores in Parramatta, North Rocks, Burwood and Macquarie were on hand at the special workshop dinner to grab the latest news from Macao which is celebrating its 20th anniversary as a Special Administrative Region of China. 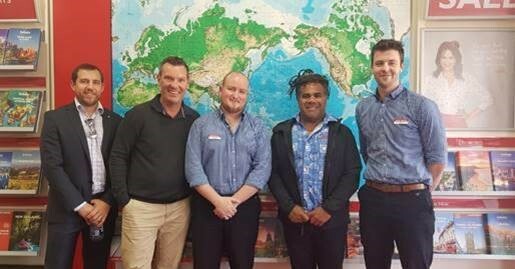 To celebrate the upcoming launch of Air Vanuatu’s direct Melbourne to Port Vila flights, The Vanuatu Tourism Office (VTO) and Air Vanuatu, joined by 11 hoteliers and tour operators, recently visited 66 travel agencies throughout suburban Adelaide and Melbourne. The three day tour also included a wholesaler soirée and two interactive agent events, where guests were treated to Tanna Coffee espresso martinis on arrival, before a hotly-contested game of trivia. One lucky agent in each city walked away with a fantastic trip to Vanuatu, including flights and accommodation. Twelve agents have returned from a very special 7-day Insta-California Road Trip joint trade fam with Visit California, Air New Zealand, Currency Pass and Flight Centre. The agent attendees earned their spot on this “Only-in California” dream fam through a sales incentive that ran with Flight Centre and Air New Zealand in January. Flying into LA with Air New Zealand, the fam featured West Hollywood, Greater Palm Springs and San Diego, with itinerary highlights including a Lakers Game (Courtesy of Currency Pass), horseback riding through the desert in Palm Springs, and a speed boat tour of San Diego Harbour. 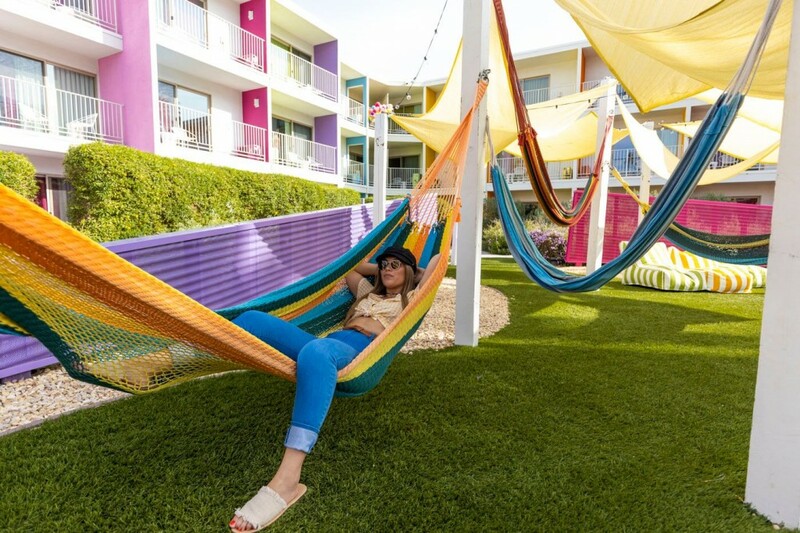 The agents stayed at three beautiful hotels: Mondrian Los Angeles, the brand new Kimpton Rowan Palm Springs, and the brand new Intercontinental San Diego. But this was no ordinary trade fam! In addition to the amazing itinerary, agents were gifted $500 USD on a pre-loaded Currency Pass to shop until they dropped whilst in California. And to make the trip extra special, a professional photographer joined the group during some of the activities to capture amazing content that the agents were able to use on their own social media channels, sharing their brag-worthy trip on social media. All agents were graduates of Visit California’s digital training platform, California STAR. If you want your chance to be included on the next epic fam trip, be sure get yourself graduated soon via the program: http://star.visitcalifornia.com/au. Trip.com Australia yesterday hosted over 60 partners of the travel industry for an official launch event. 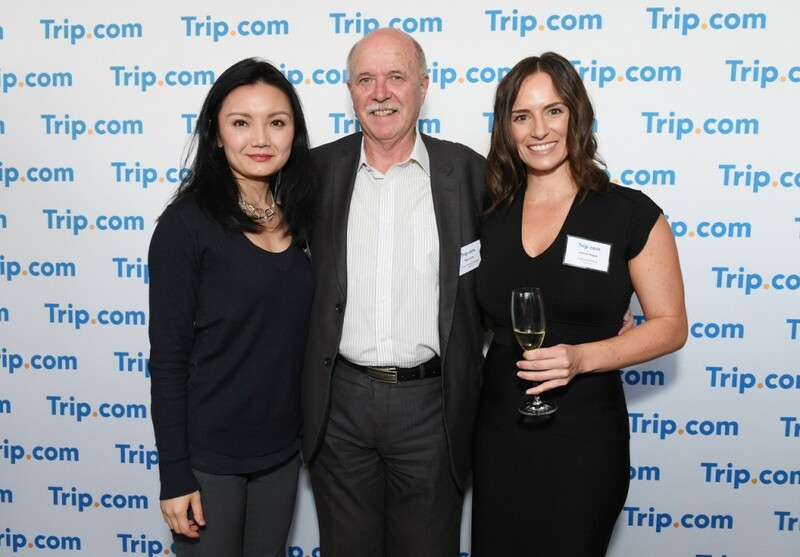 Part of the Ctrip Group, the world’s largest Online Travel Agency (OTA) by TTV (Total Transaction Value), Trip.com is a one-stop travel shop for Australian travellers. Trip.com offers flights, hotels, trains, car hire, airport transfers, day tours and attractions tickets across desktop, mobile and app. With an intention to increase product offerings within the year. Still a young OTA, Trip.com has experienced three-digit year-on-year growth and has been expanding rapidly, having entered 5 new markets and added 6 new languages in the past 12 months. 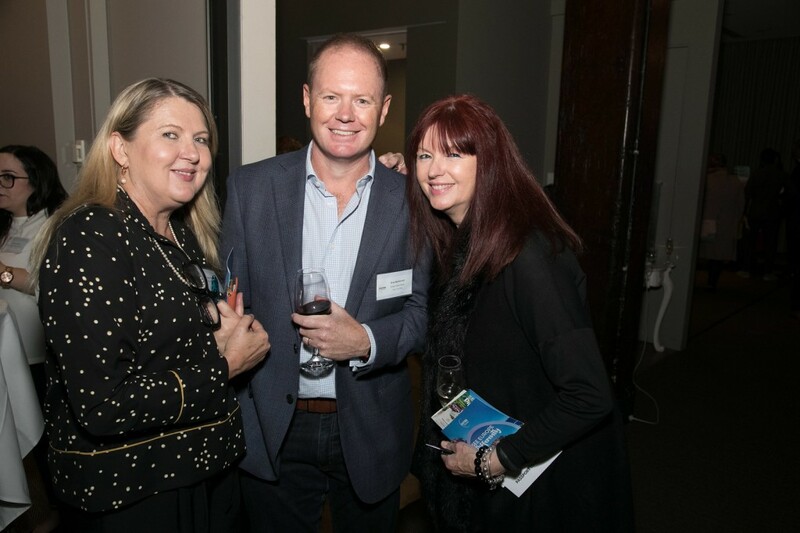 On Wednesday night, over 100 travel agents and trade partners gathered at ‘View by Sydney’ to discover a different side of Europe. ‘See Europe Differently’ was the theme of the glamourous Soiree put together by Entire Travel Group in partnership with Atout France, Monaco Tourism Board, Switzerland Tourism, Le Boat and Rail Europe. Agents were first invited to explore Entire Travel Group European brands via a market place where they were able to taste some Swiss cheese & wine, discover the famous Orange Liqueur from Monaco, or sip some Italian bubbles with a Prosecco tasting… This was followed by a delicious European dinner during which agents were able to learn about new and different ways to Explore Europe through Q&As sessions with partners as well as Entire Travel Group’s Destination specialists. Bring back the Golden Era of Travel with Luxury Gold’s Last Minute Specials. Your clients can enjoy these savings on the 12 day Ultimate Italy itinerary. This magnificent journey showcases Italy’s grand past, romantic cities and exquisite natural wonders as guests journey between Rome and Venice through the cities of Capri, Perugia, Florence, Pisa, Cinque Terre, Tuscany, Rapallo, Verona and Burano. A highlight of the trip is a private visit to the Sistine Chapel in Vatican City. Guests will enter for a private tour with a local expert before it opens to the public and with Luxury Gold’s fast-tracked entry into the Vatican Museums ensures optimal enjoyment of the timeless Papal art collection. Starting from $7,315* per person, twin share (savings included) with full payment required three days following guests making the booking. This offer is on sale now until 30 April 2019 for departure on 23 June 2019. Other departure dates available but prices will vary. For more information or to book call 1300 661 828 or visit www.luxurygold.com *Conditions Apply. Save $300 on Flights to Europe with Costsaver’s Ready to go Deals! Lock in these savings in conjunction with the 18 day European Cavalcade adventure. On this trip guests will explore the romantic landscapes, charming medieval villages and stately capitals of Europe through Amsterdam, Paris and Rome, with a stay in the Bay of Naples and visits to Lyon, Monaco and Nice along the way. 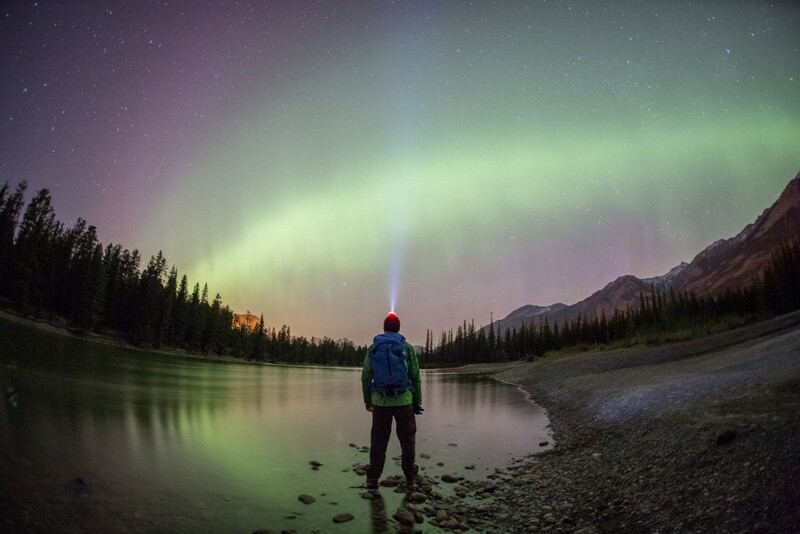 This trip is $3750 per person, twin share (including return economy flights). This offer is on sale now until 30 April 2019 for departure on 5 June 2019. For more information or to book call 1300 78 78 78 or visit www.costsavertour.com *Conditions Apply. Your client can save up to $3,000 per person on select 2019 voyages for a limited time thanks to Uniworld’s Picture Perfect Savings such as the 13 day India’s Golden Triangle & the Sacred Ganges itinerary. This adventure by land and river will touch all your senses, from Kolkata, where Mother Teresa’s humble home and tomb provide a place of pilgrimage, to the Rajbari Temples devoted to the Hindu god Shiva. Your Ganges voyage delves deeply into India’s fascinating historical and religious heritage, working its charm in myriad ways and leaving you with memories that will forever endure. Starting from $7,199* per person, twin share (discount included). This offer is on sale now until 31 May 2019 for departure on 7 December 2019. Other dates are available, but prices will vary. For more information or to book call 1300 780 231 or visit www.uniworld.com *Conditions apply. AAT Kings are passionate about welcoming all Australians and New Zealanders to discover the beauty of their own backyard. That’s why for a limited time only, we are offering guests the chance to Fly FREE On a selection of our bestselling Guided Holidays. This offer includes the ten day Tasmanian Wonders itinerary. If Tasmania is on your must-do list, this journey offers the ideal introduction to the island state. You will travel on a round trip from Hobart through Russell Falls, Queenstown, Strahan, Cradle Mountain, Smithton, Launceston, Bicheno and Port Arthur. Guests will experience the grandeur of Freycinet National Park on a guided walk to the lookout at Cape Tourville that affords astonishing views across brilliant blue water, verdant forest and golden beaches. Starting from $5585* per person (return economy air included). This offer is on sale now until 31 July or until sold out for departures on 18 Oct & 15 Nov 2019, 3 & 24 Jan and 6 & 27 Mar 2020. For more information or to book call 1300 556 100 or visit www.aatkings.com *Conditions Apply. Add a 3 Stop Pass for FREE when you purchase a full priced 15 day Ultimate Iberian Adventure with Busabout. For the very best sights and experiences that Spain and Portugal have to offer, look no further – this is the trip for your client. On this whirlwind two-week adventure, they’ll be seduced by the flare of flamenco dancing in Madrid and Granada, party in the coolest bars in Lisbon and Lagos, soak up the Old Town architecture of Seville and Porto, and eat their way through the local cuisine. Starting from $1799 per person (free 3 Stop Hop-on Hop-off Pass worth $299 included). This offer is on sale now until 17 May for 2019 departure dates only. For more information or to book contact www.busabout.com or call 1300 287 226. *Conditions apply. Enjoy savings of up to $375 on Latin America with Contiki thanks to their Early Payment Discount. Travellers can enjoy this saving on the Hola Colombia travel itinerary. All the best of Colombia is on show during this 18-day trip, from bustling cities, to lush coffee plantation towns, charming cobblestoned retreats, and idyllic beaches, this 18 day extravaganza brings you the very best of this vibrant country. There’s no better way to explore Colombia in all its glory than with Contiki through Bogota, Zipaquira, Villa de Leyva, San Gil, Salento, Medellin, Cartagena, Palomino Beach, Tayrona National Park and Santa Marta. Starting from $3810* per person, twin share (discount included). This offer is on sale now until 19 June for select departures between 22 Jan and 15 Nov 2020. For more information or to book call 1300 266 845 or visit www.contiki.com *Conditions Apply. ATTN: Deadline for Women in Travel Awards entries is TODAY! Agent wrap: MTA kicks off forums, TIME networking events, loads of famils + more! This agent wrap has left us positively green with envy. How you guys find the time to attend so many great famils is beyond us.